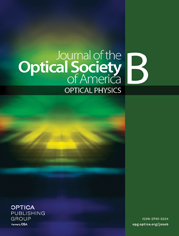 We develop an improved moment method to model soliton propagation in optical fibers. We account for the full Raman gain spectrum of the material and derive a system of coupled differential equations describing the evolution of five moments of the pulse, valid for arbitrary soliton durations. By comparing with the numerical solution of the generalized nonlinear Schrödinger equation, the improved moment method is shown to accurately represent soliton self-frequency shift under complex dispersion, nonlinearity, and Raman gain spectra. Numerical examples are presented for a dispersion-shifted fused silica fiber and a non-uniform ZBLAN fluoride fiber taper. The latter demonstrates an enhanced soliton self-frequency shift through axial dispersion and nonlinearity engineering along the taper length.